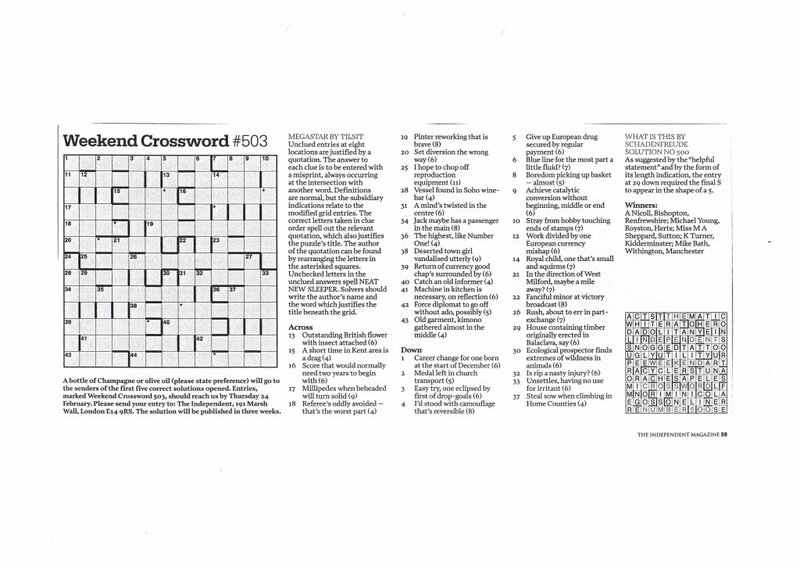 After a traumatic day on Friday, I went to Birmingham yesterday for a gathering of crossword bloggers and setters, organised by Dean Mayer (Anax of the Independent). 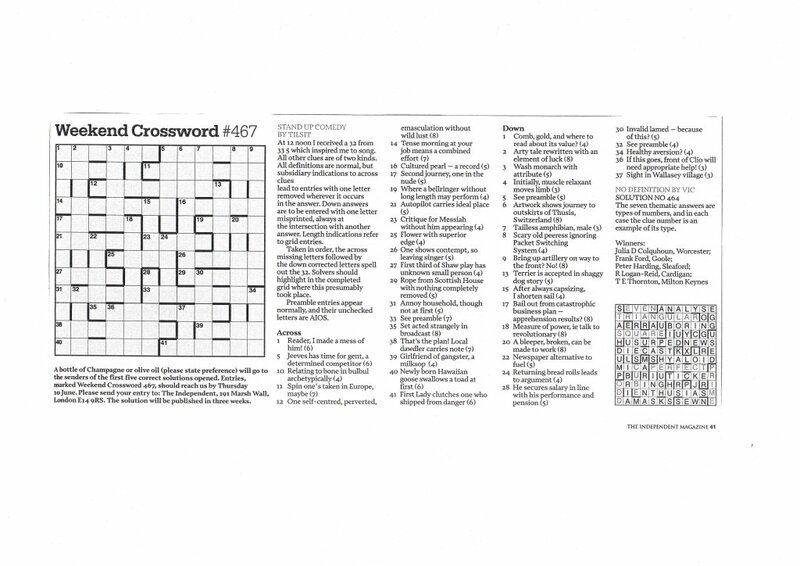 These meets are really worthwhile and provide a way for crossword aficionados to meet their tormentors and heroes, and for setters it is an excellent way to get feedback on their work. I rather foolishly decided to try travelling down by coach, mainly because of the cost compared to all other methods of getting there. I had to drive to Rochdale to catch the 05:00 coach with a change in Manchester. At the moment the centre of Rochdale is a mess while work on the new Manchester Metro extension is put in and trying to find a parking space at 4:30am was not easy. There were an awful lot of people around at that time as one of the nightclubs was just emptying. Eventually I found a space in the Mecca Bingo Hall. They have enterprisingly used a nice line in income generation by doubling it up as a car park during the day. Not knowing whether my disabled badge would suffice, I bought a ticket and then struggled the 200 yards to the bus station. When I got on the coach, I went to sit on the front seat for disabled people and was refused by the driver. He told me the front few seats were reserved and despite my protest that I was only travelling to Manchester, rather than for the full journey, I had to go and sit half way down the coach with the other six (yes SIX) people travelling. The driver also refused to help me with my bags and I almost fell when my crutch caught a stray seat-belt. Likewise, there was no help from the driver getting off. Luckily National Express have an SMS feedback scheme, so I made use of that as the coach sped into Manchester. Once we got into Manchester, a 90 minute wait and then down to Brum with a decent seat and a much more affable driver. Once I got into Digbeth coach station, I caught a cab over to the Early Birds venue which was not far away: a Wetherspoons pub on Bennetts Hill. There I met up with John Henderson (Nimrod, Elgar, Enigmatist), Jane Teather and Dave Morton (Big Dave). Dean and Jayne, his girlfriend joined us and after coffee and a natter, we went over to the Old Contemptibles pub for the meet. As the meet swung into life we were joined by a number of the famous faces from the Crossword World, including Roger Squires (aka Rufus, Dante and the Monday Telegraph puzzle setter), Peter Biddlecombe (Sunday Times Crossword Editor), Jim Toal (Lato and Tyrus), Michael Curl (Orlando and Cincinnus), Niall McSweeney (Raich and Gurney), Arachne, Peter Chamberlain (Saturday Telegraph and Cephas) and someone I have wanted to meet for a long while, Eric Westbrook. Eric is the driving force behind a project which aims to make the world of crosswords accessible to blind and visually handicapped people. 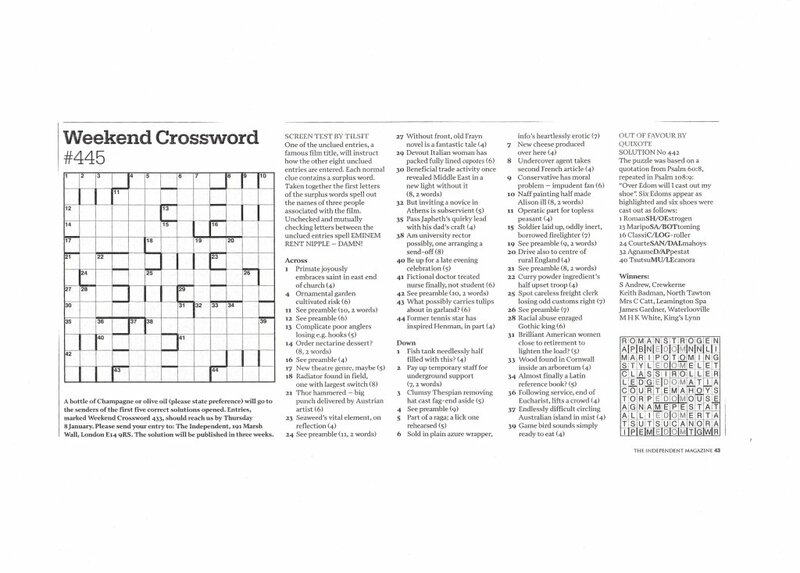 A software genius in Australia called Ian Humphries has devised a program which takes the daily crossword from a national newspaper and turn it into a speech based puzzle. As I am partially-sighted and can’t see beyond the end of my nose without glasses, I am really interested in this and was allowed to play on the program on Eric’s computer. I found it really easy to pick up how to use it, and can see its potential in other area, like quizzes. Dean provided a competition puzzle to solve with some prizes donated by Rufus and another blogger Sil van den Hoek provided one of his Dalibor puzzles to tackle too. Roger Squires (Rufus) is also a member of the Magic Circle and older readers may remember him from TV appearances in the 1960’s on show such as The Black and White Minstrel Show, a TV programme that almost certainly wouldn’t be made nowadays. Roger brought the afternoon to a close by performing some clever magic tricks using the assembled audience as props! After a convivial afternoon I left for home at 6pm and landed in my living room just after 11pm, a little tired but otherwise happy after a grand day out. A much nice coach driver on the way home also made the journey more bearable. Eric will be sending me an article on the software in the near future and I’ll add it to the site.